Soil health is important for the land itself as well as for the water entering the GBR Lagoon. Protecting the productivity of degraded rural land, and helping to improve its resilience, is becoming increasingly urgent for our regional communities. Support should be available for land managers to make considered and informed decisions to undertake best management practices that improve land condition and productivity, including using latest innovative techniques and holistic decision making, or possibly even completely changing the commodity they produce. Other best practices may also include using longer farm and business planning cycles, planning for predicted short-term changes in climate, and setting goals for outputs over 5-10 years rather than annually. Accessible technical support networks are vital for land managers who are considering methods to sustainably improve land productivity. Decreased soil fertility continues to increase pressure on existing agricultural land productivity. 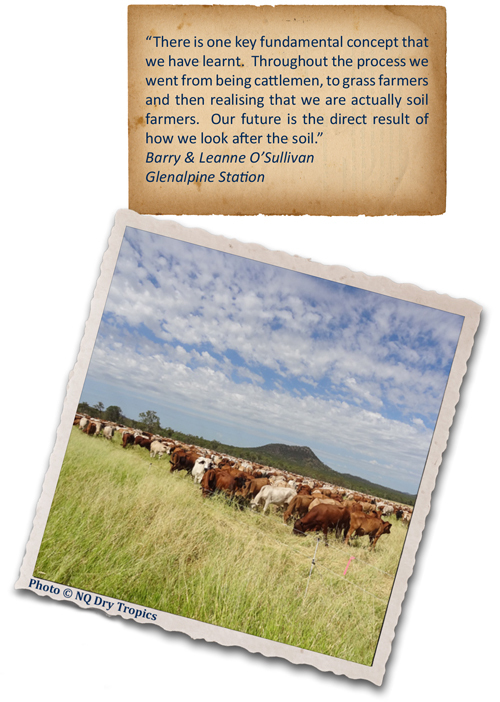 More focus on soil health is required to ensure current agriculture enterprises, and any future expansion, is long lived and sustainable for future generations (Soil Science Australia Queensland Branch, 2013). There are regional strategic plans for conservation, pest management and water quality, however, there is as yet no such plan to deal with the issue of maintaining healthy soils. 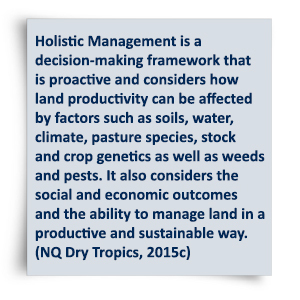 A regionally-specific strategy could help to increase productivity by bringing together a coordinated network of representatives to investigate the optimal levels for soil health, create an ongoing regional monitoring programme, and develop improved management practices.